The Senate leadership has been briefed by our lawyers on last Thursday judgement of the Federal High Court, Abuja, on whether the Senate has the legal authority to suspend a member for certain misconduct or not. We have equally filed an appeal against the judgement of the court and a motion for stay of execution of the judgement at the Court of Appeal. 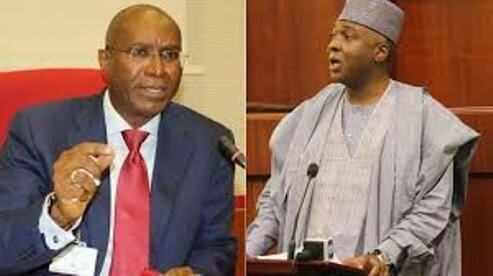 As an institution that obeys the law and court orders, the Senate has decided that it will comply with the judgement of the Federal High Court and do nothing to stop Senator Ovie Omo-Agege from resuming in his office and at plenary from tomorrow May 15, 2018, pending the determination of the application for stay of execution. The Senate has been advised that since the motion for stay of execution of the Thursday (May 10, 2018) judgement shall be heard and possibly determine on Wednesday, May 16, 2018, we shall therefore respect the subsisting High Court judgement and await the appellate court decision on the pending motion.